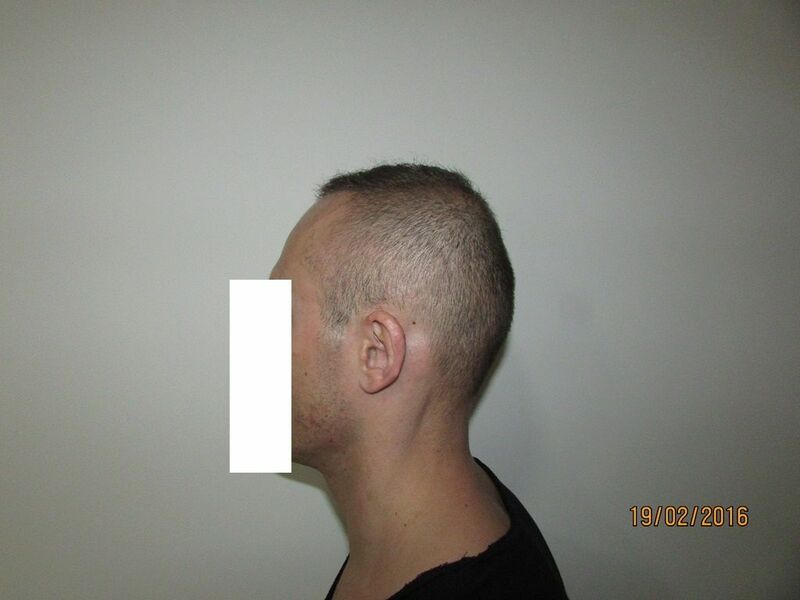 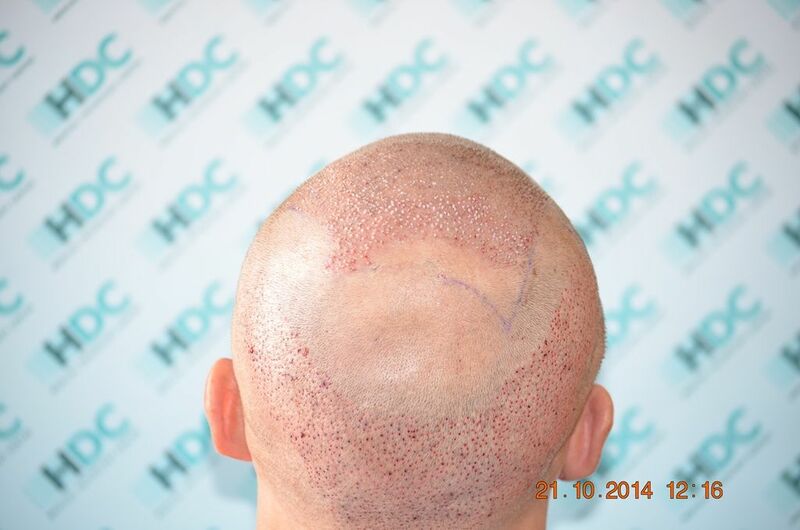 This Norwood class 6 scale patient had low donor density with fine hair and under average hair per follicular unit. 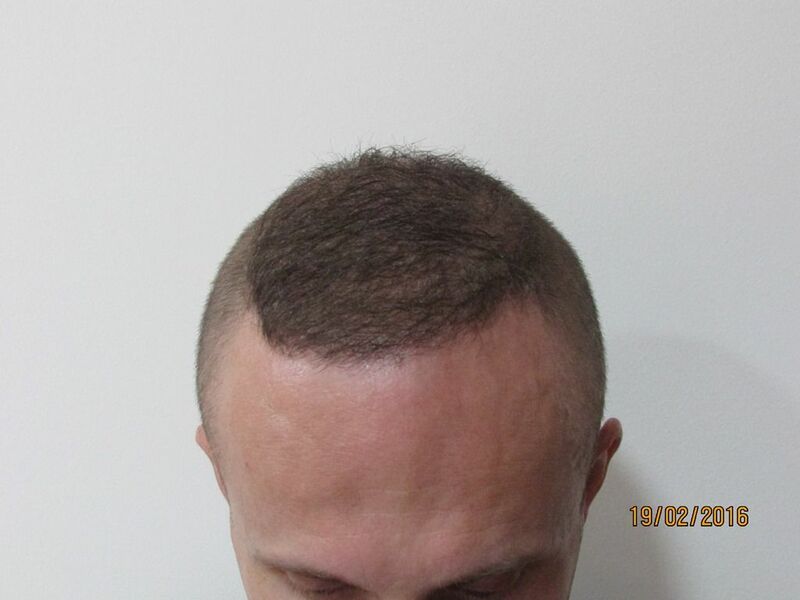 His aim was to cover his boldness and the only way to achieve this was to use productively each one of his extracted grafts. 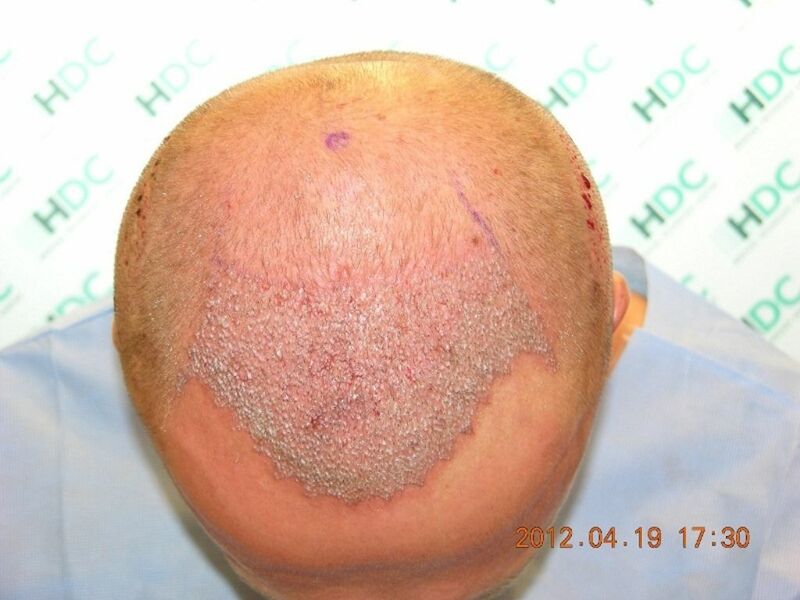 We also had to manage his donor correctly so that we avoid a depleted donor. 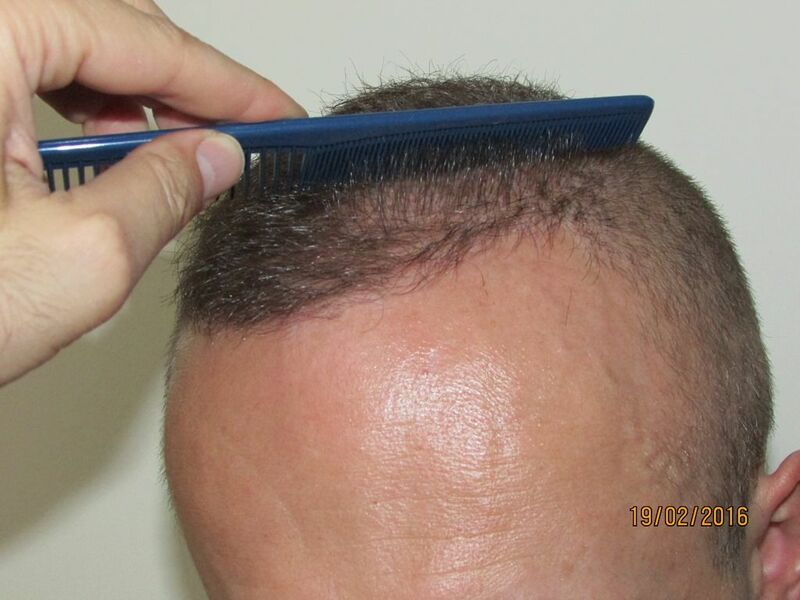 After 3 HT sessions and 5545 Grafts extracted and placed, we manage to come up to his expectation in both recipient and donor. 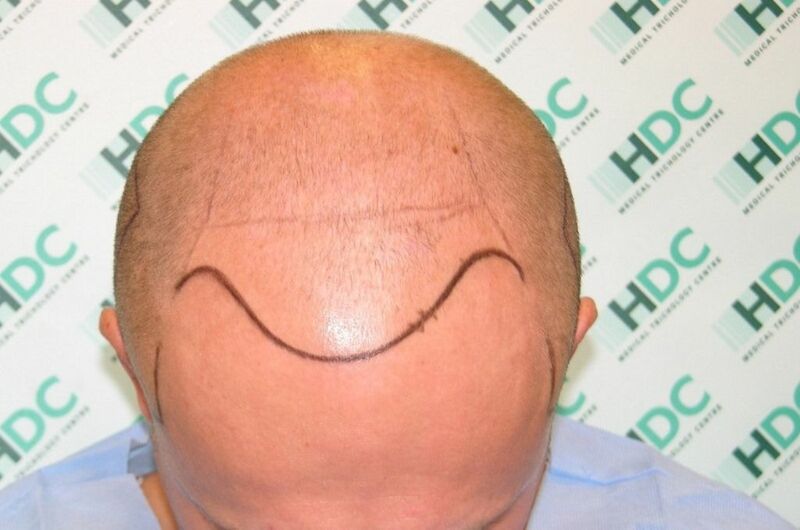 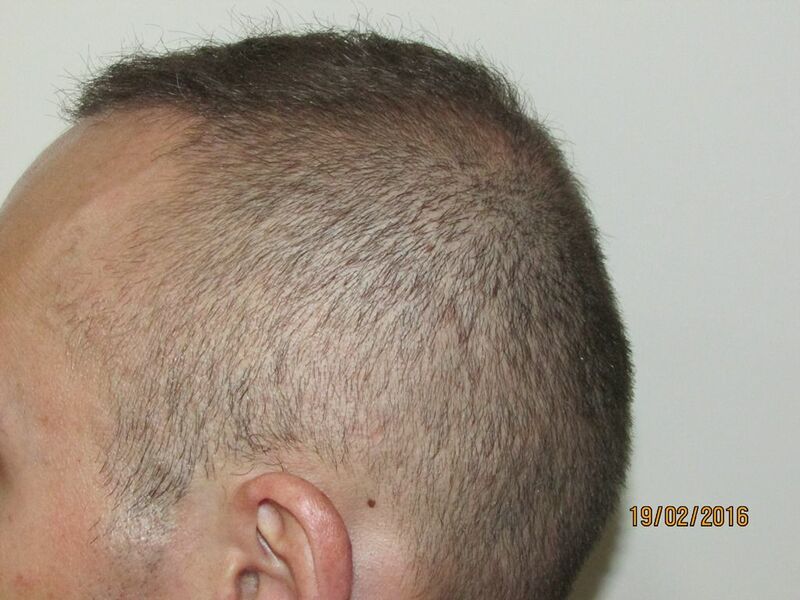 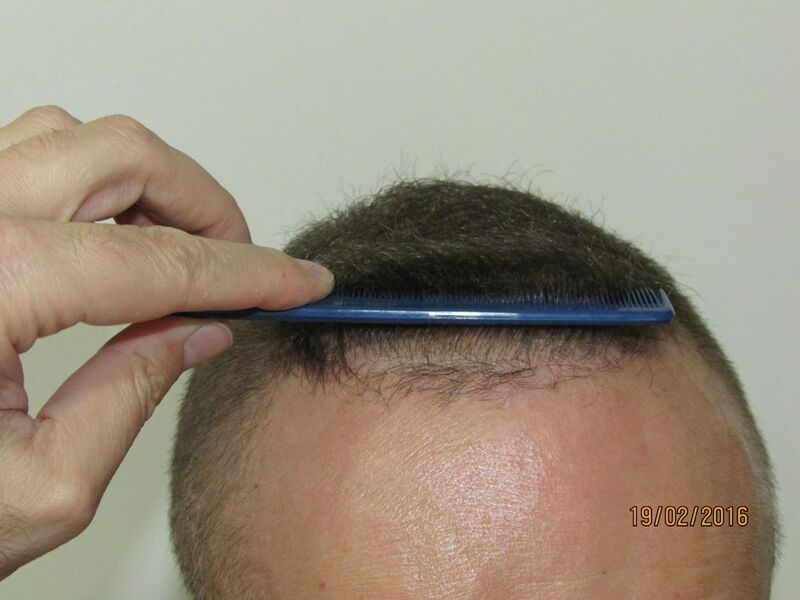 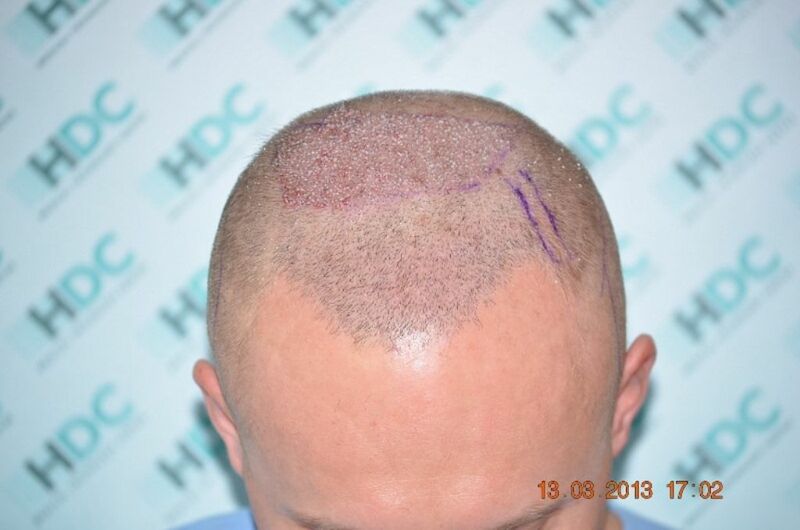 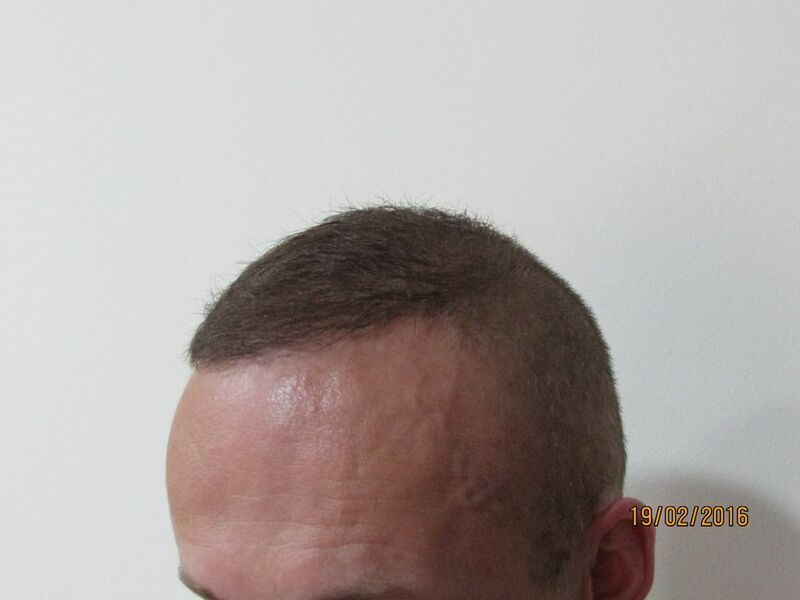 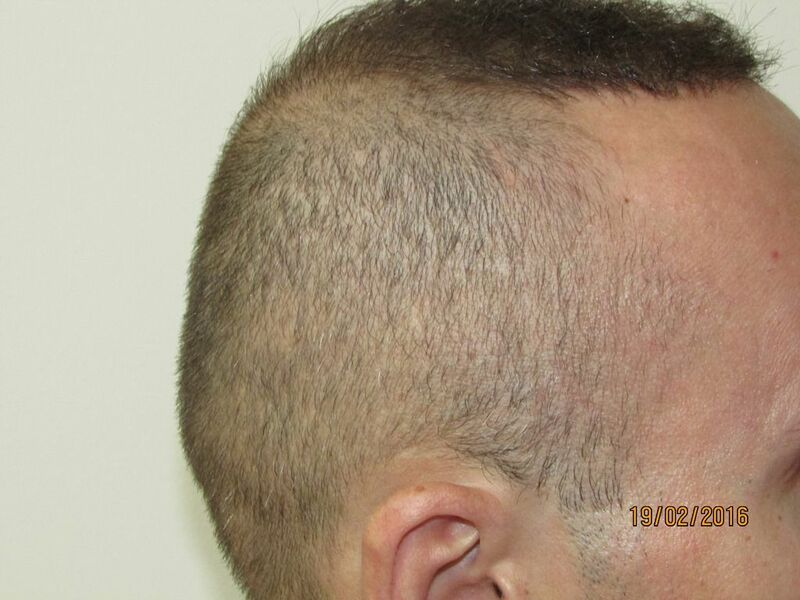 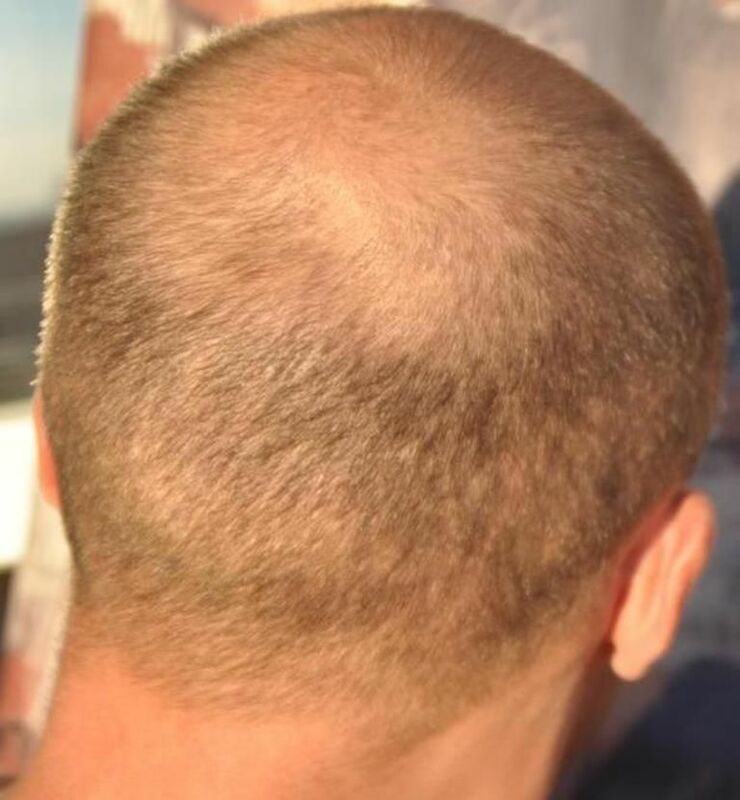 The Third Hair Transplant with HDC is presented here. 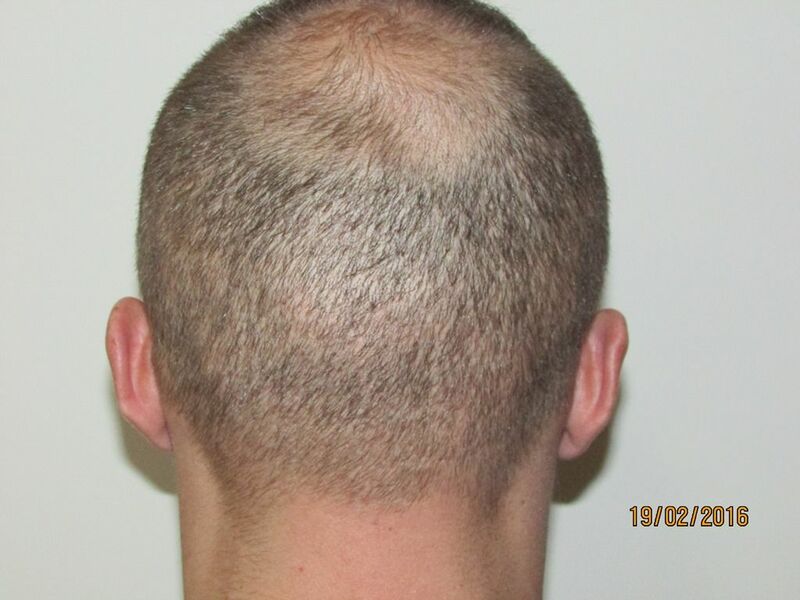 The goal initially was to provide reasonable density over two procedures beginning from the front and working backwards. 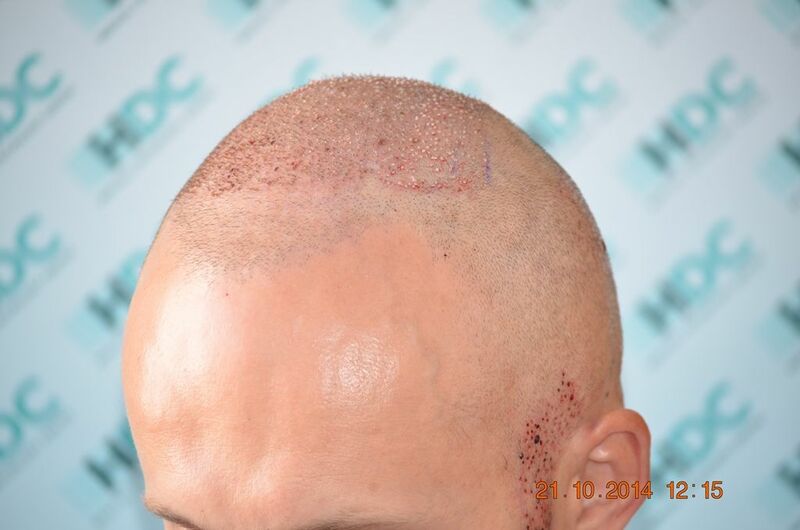 After achieving the initial goal and because of the correct donor management the patient requested to enhance the density. 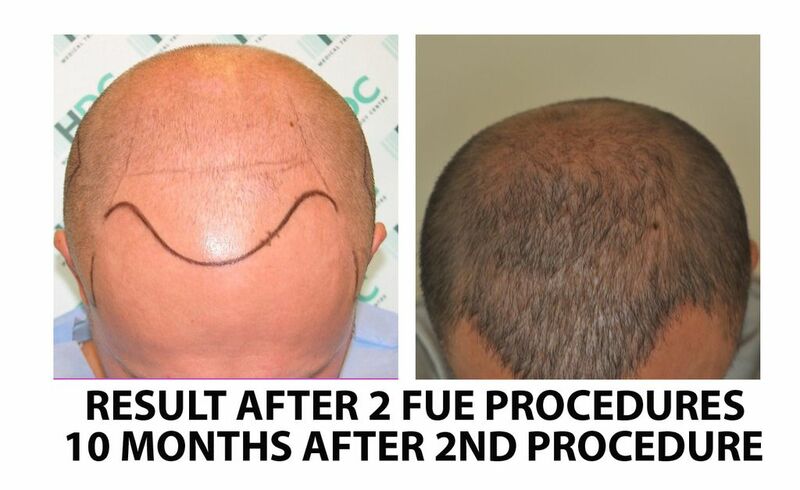 We had preceded with the extraction of 1296 FUE grafts and used some of them to increase the existing density as per the patient’s request and the rest to extent the coverage towards the crown. 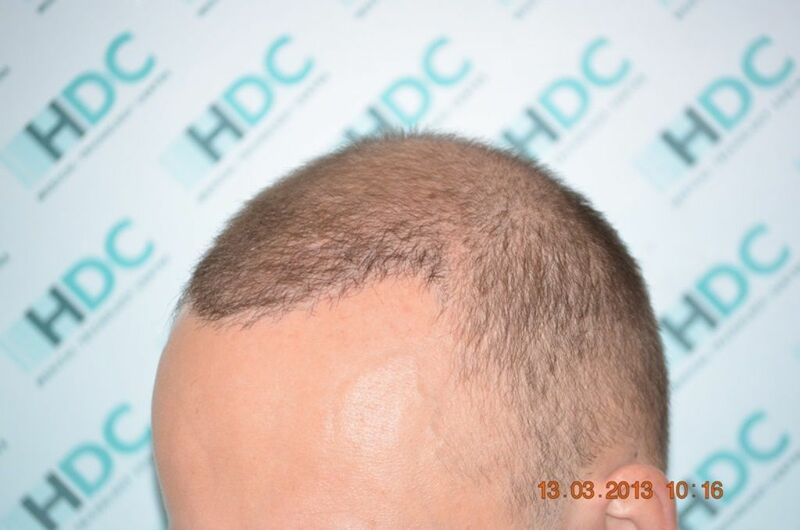 Below we present clear photos 16 months after the final procedure which you can clearly see that the donor area was well protected over 3 procedures to avoid depletion. 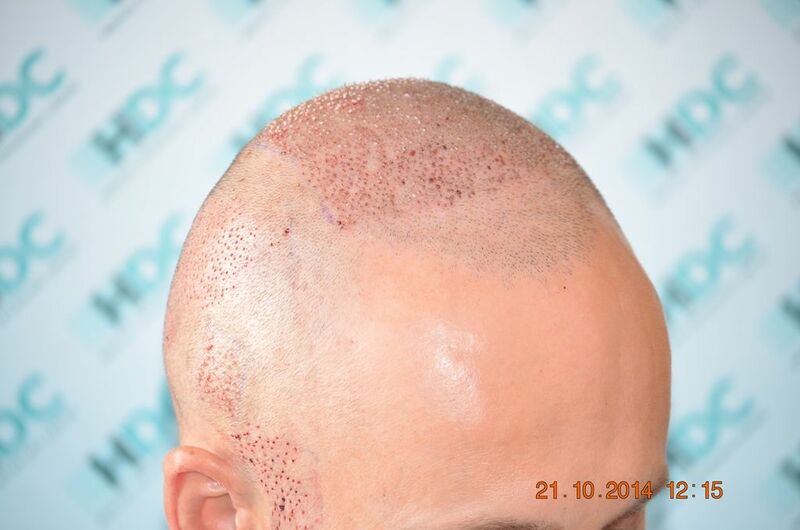 Depleted donors is a phenomenon we come across often lately, whereas patients had been persuaded to go ahead for large sessions of 4000-5000 grafts in one visit and then seek help to improve the cosmetic look of their donors. 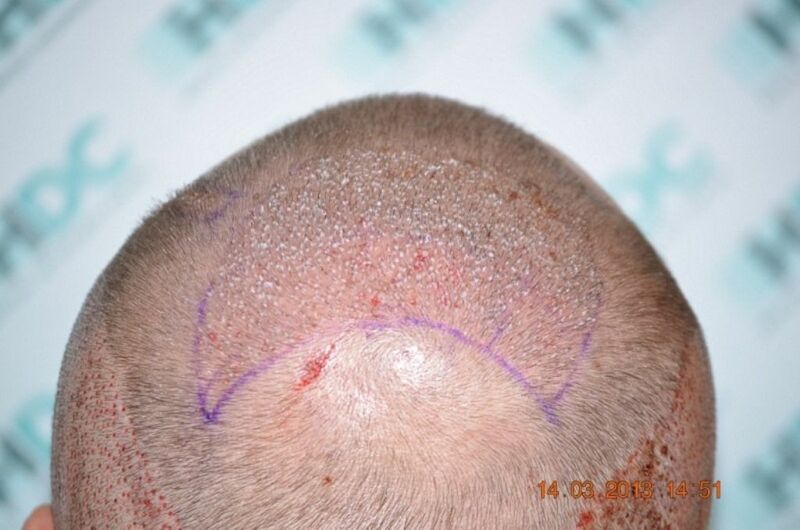 At a lot of these cases the cosmetic result is average or below and we advise to be avoided.